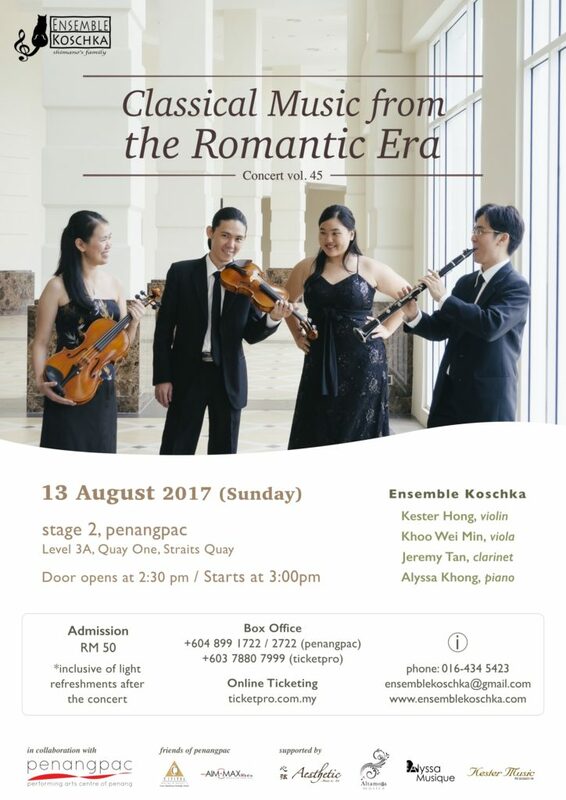 Ensemble Koschka will perform classical music from the Romantic era featuring the clarinet, violin, viola, & piano. This concert presents music by composers of the era, such as Carl Maria von Weber, Johannes Brahms, Frédéric Chopin, Edward Elgar, & many more. Join us as we bring you along the progression of musical emotion & expression from the early-Romantic style through to the late-Romantic.